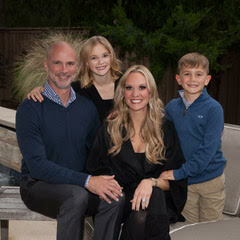 What inspired your family to make a gift to The Campaign for The Episcopal School of Dallas? ESD provides an exemplary education opportunity. We want the students for whom it is a stretch for their family to afford that opportunity to have some of that burden lifted. The endowment was appealing to us because we could direct our financial resources to an area we care most about. The purpose of The Lewis Family Endowment is non-tuition financial support for students. We feel this is a spectrum that is often overlooked. Through endowment earnings directed to non-tuition assistance, students can enjoy a complete and fulfilling ESD experience assured that they have access to materials necessary for classroom and extracurricular success. Always keeping in mind that these children are our bright future, we would advise others to think about what is most important to you about this School and community. For us, it was ensuring that all students be allowed the optimal educational experience that ESD can provide.